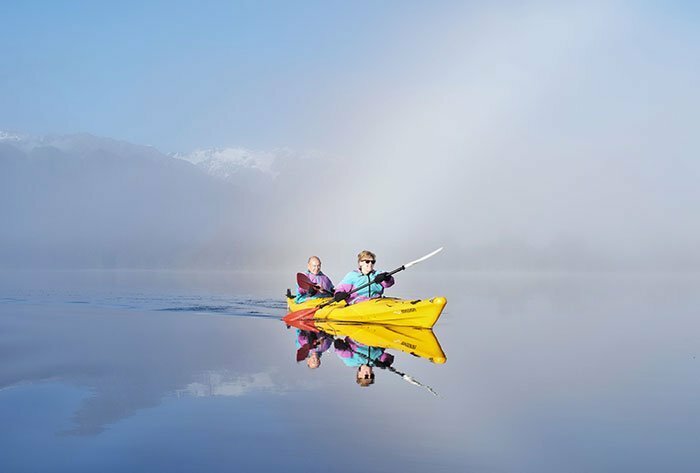 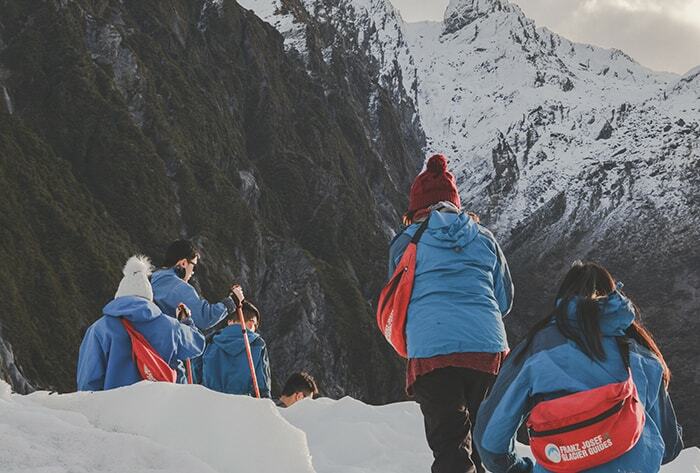 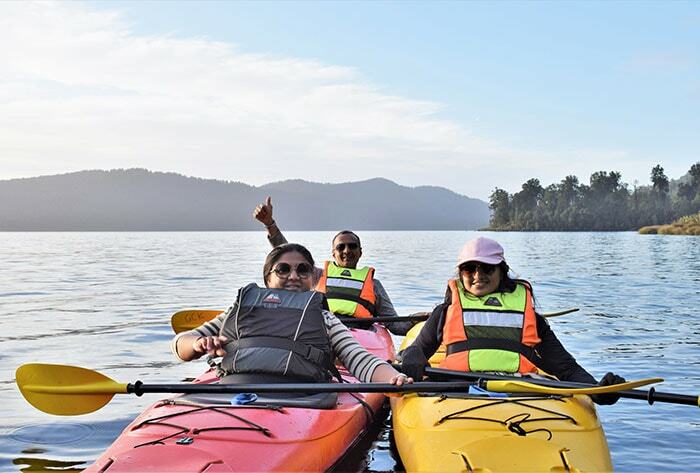 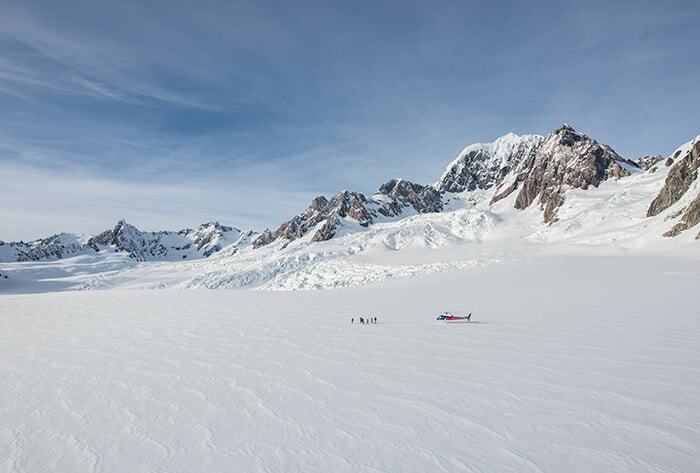 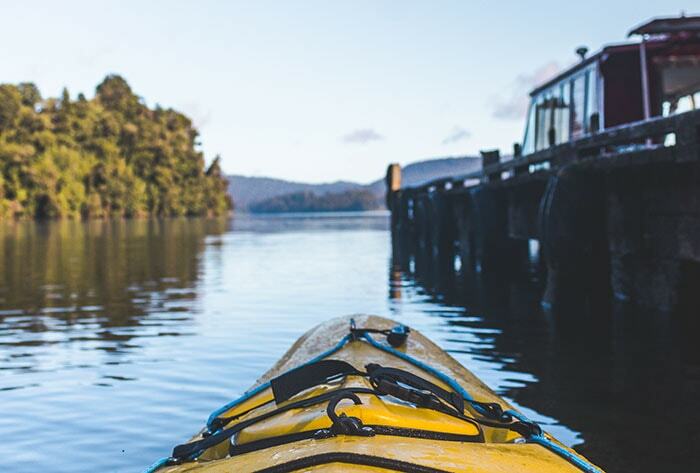 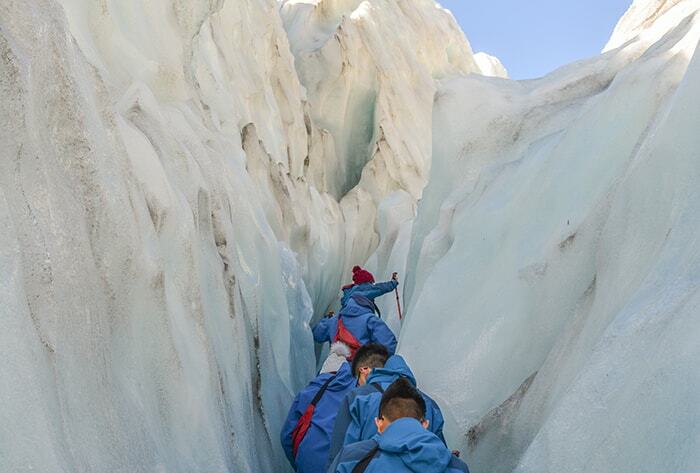 The Original Franz Josef Kayak Adventure Awaits …Glide effortlessly across the water taking in the panoramic views of the Southern Alps, glaciers, and untouched Jurassic rainforest reflected on the glassy waters of Lake Mapourika. 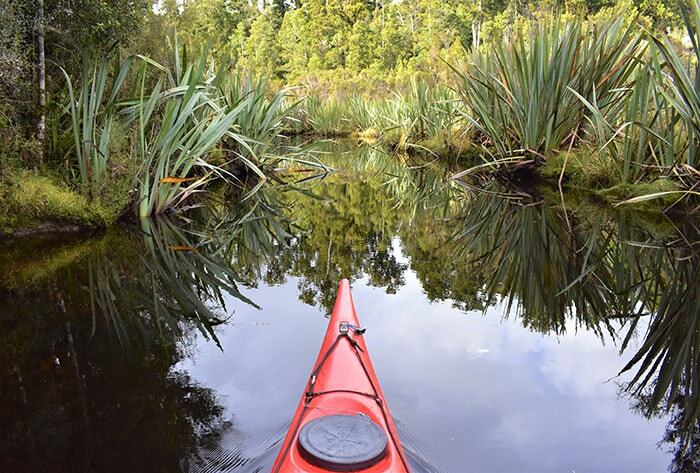 Paddle into the heart of the Okarito Kiwi Sanctuary, exploring the protected area with your knowledgeable guide. 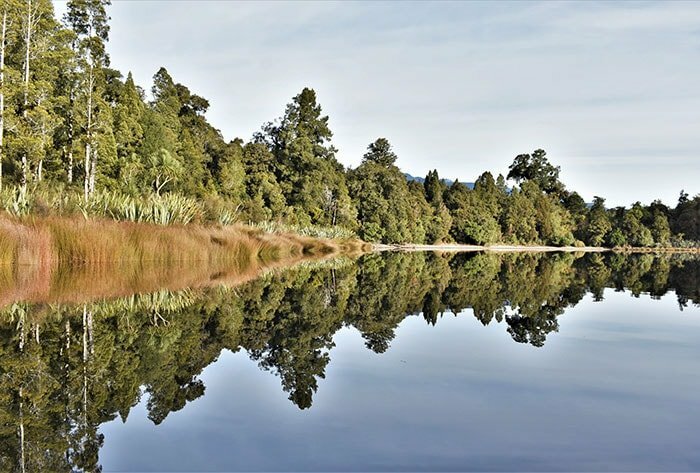 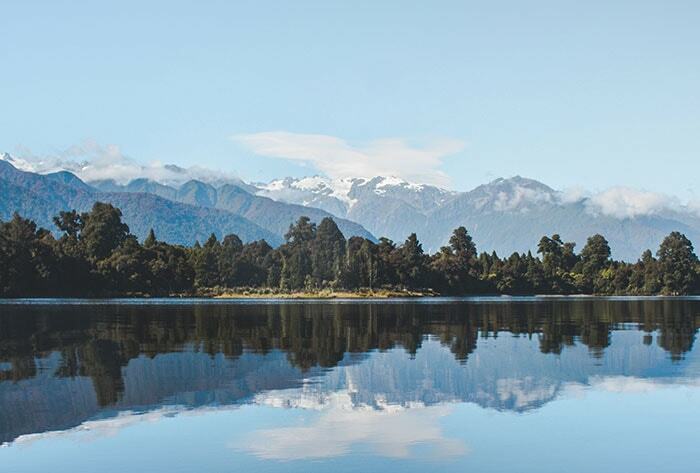 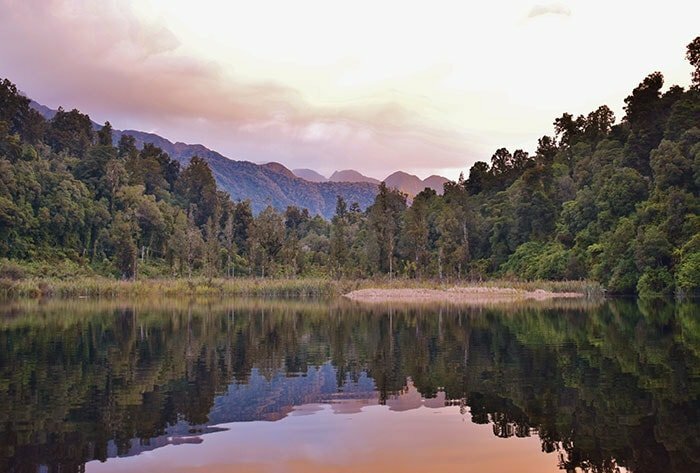 Dip your paddle in Lake Mapourika’s pristine glassy water and set foot upon the ancient soils of the protected Okarito Kiwi Sanctuary. 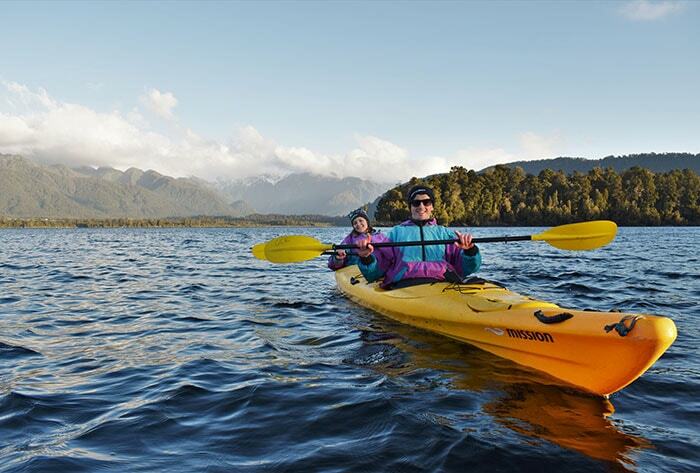 The Kayak & Walk is our premium trip. 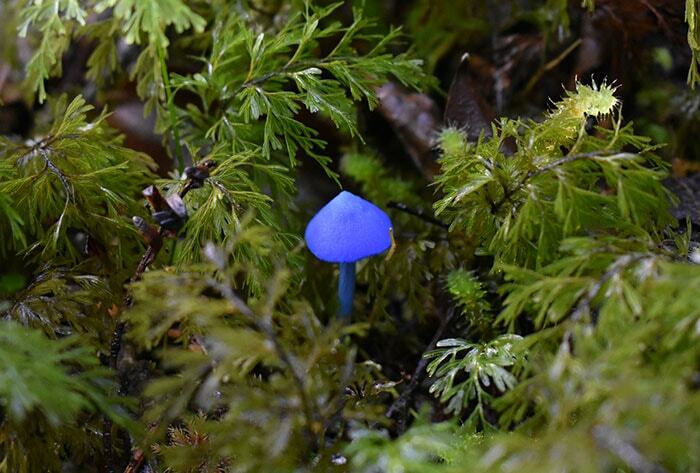 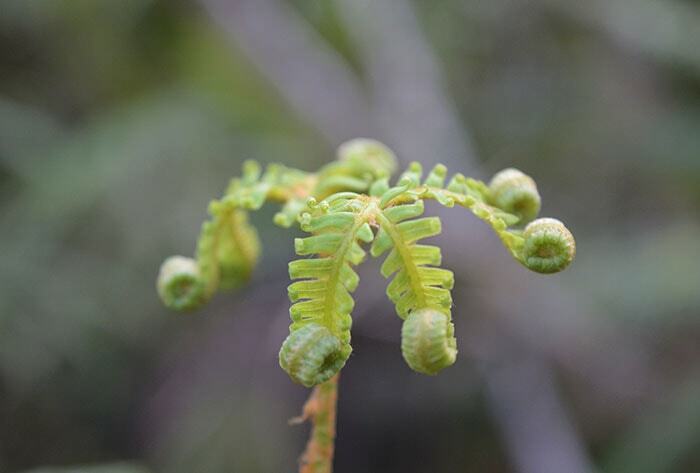 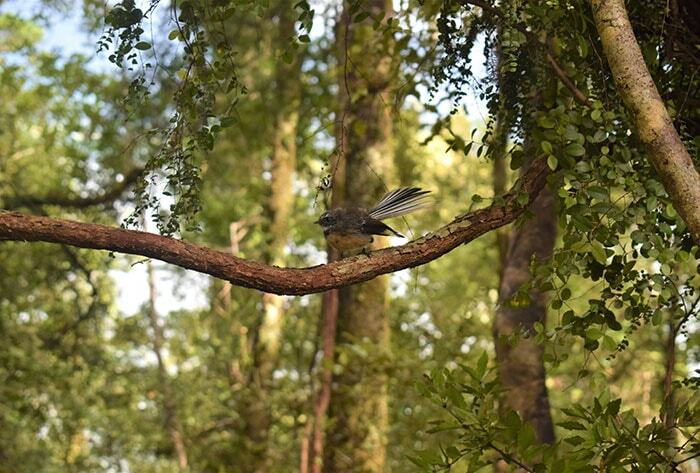 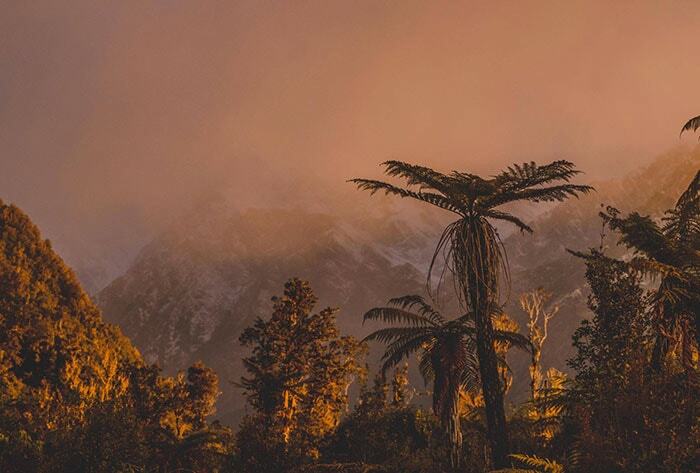 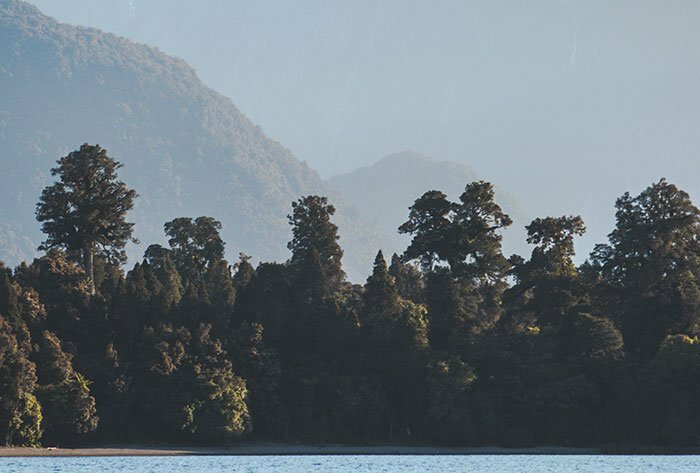 This is your chance to get up close and personal with South Westland’s oldest untouched Jurassic age rainforest. 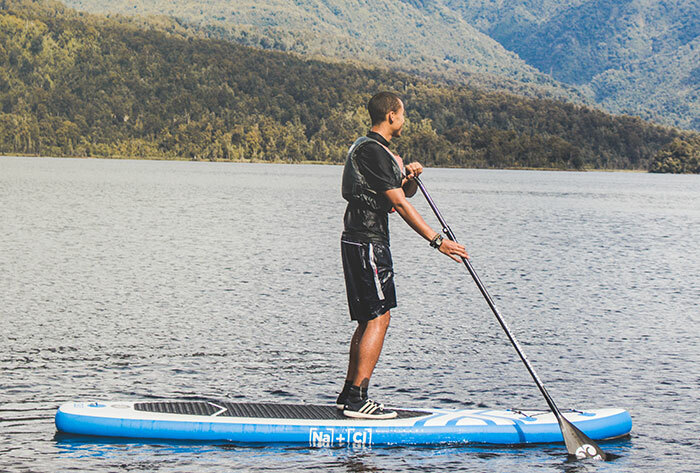 Paddle a shorter distance and at your own pace! 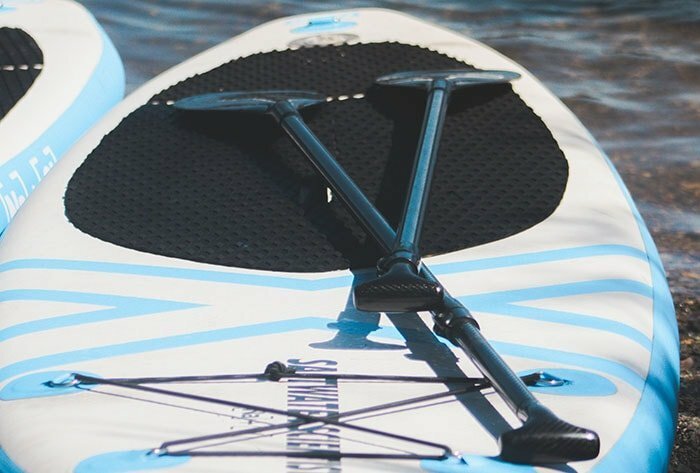 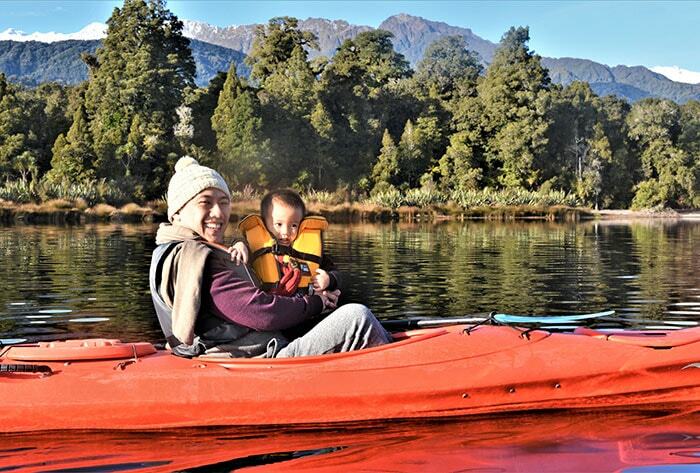 The 1.5 Kayak Discovery offers an excellent ‘taste’ of kayaking for families and first-time paddlers. 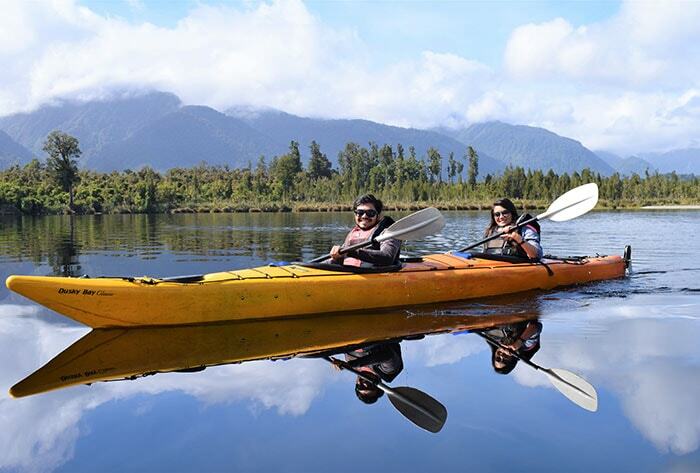 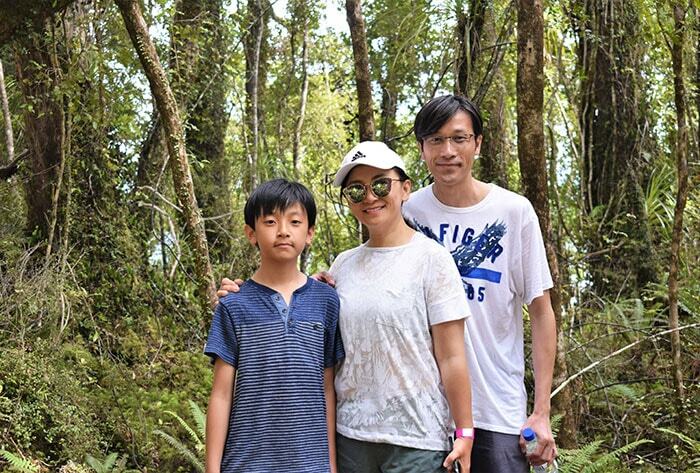 Paddling along the shoreline of the beautiful Lake Mapourika you will experience the 14,000-year-old Jurassic rainforest first hand, whilst enjoying the native bird song and having your picture snapped by your guide. 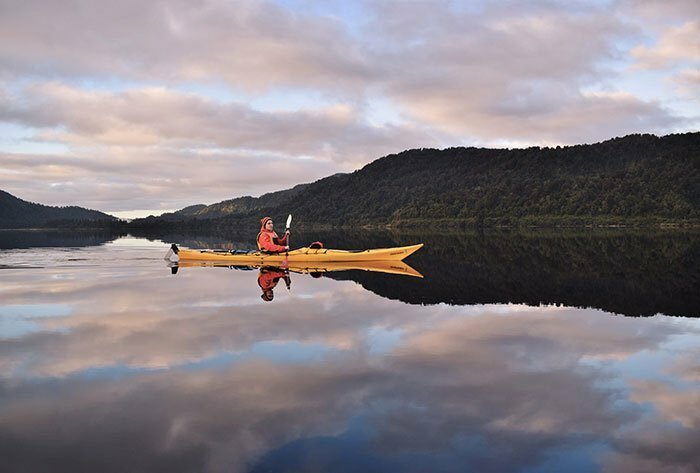 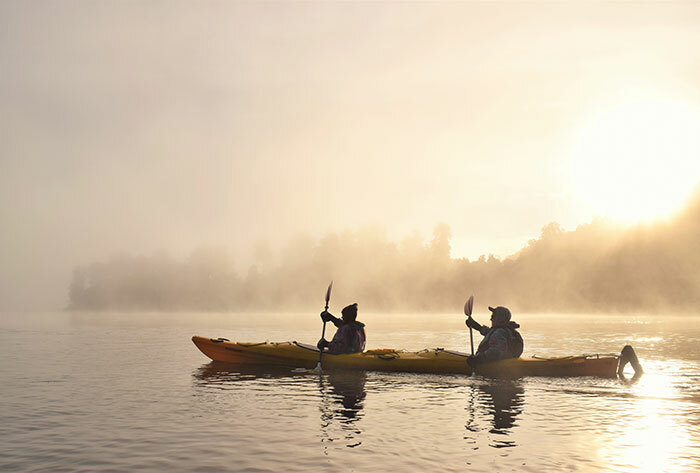 Embark on our original Kayak Classic tour in the soft evening light. 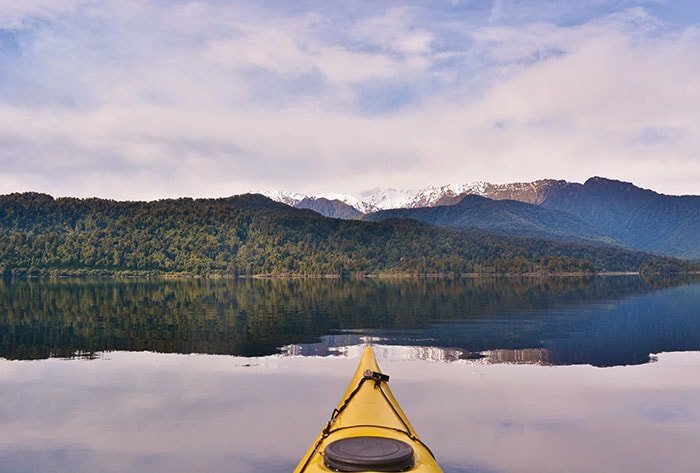 3 hours of gentle paddling with an unbeatable backdrop of the Southern Alps, returning to the beach in time to watch the sun set below the hills. 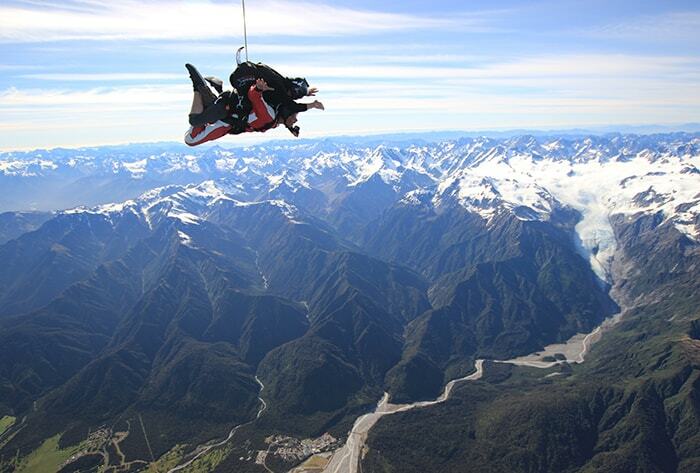 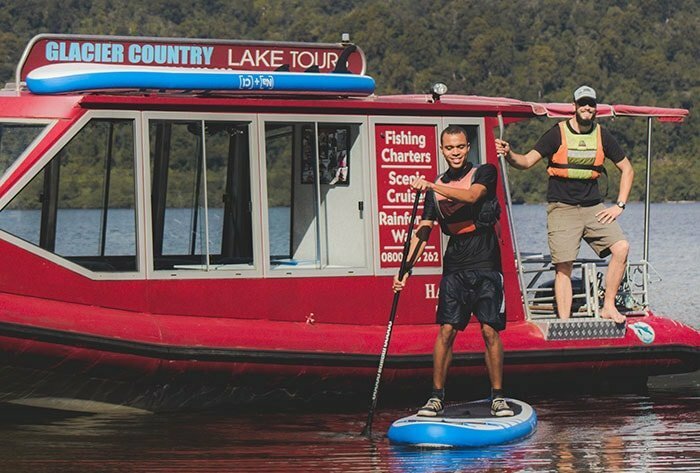 A premium tour only available during the summer months. 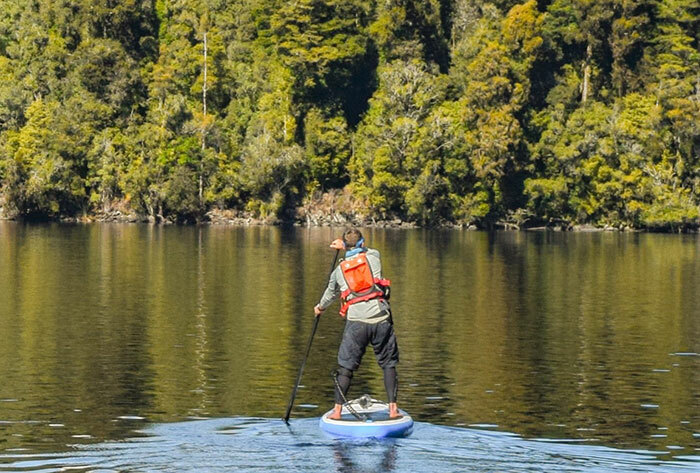 Explore the beautiful waters of Lake Mapourika with one of our SUP experts. 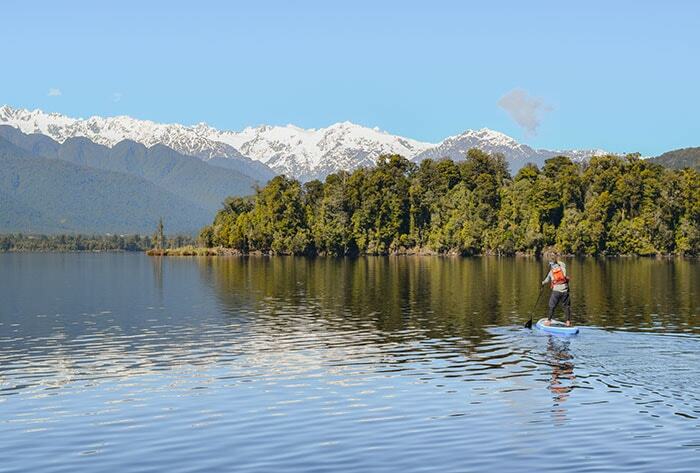 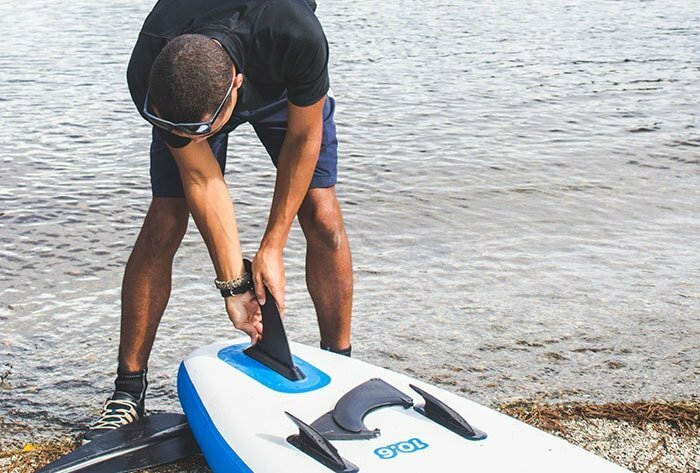 The ultimate Stand Up Paddleboard adventure awaits you! 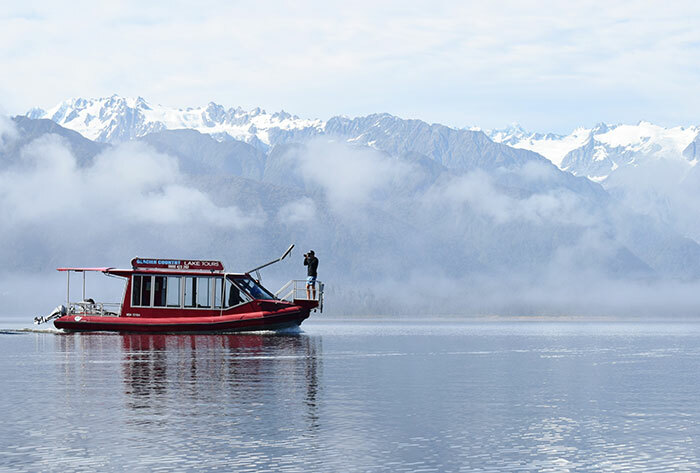 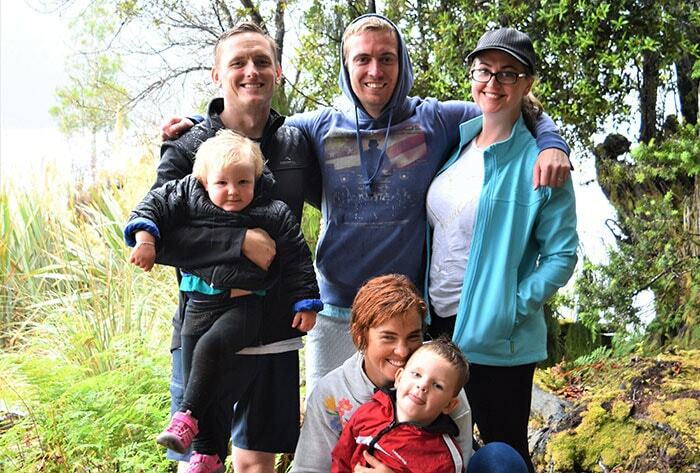 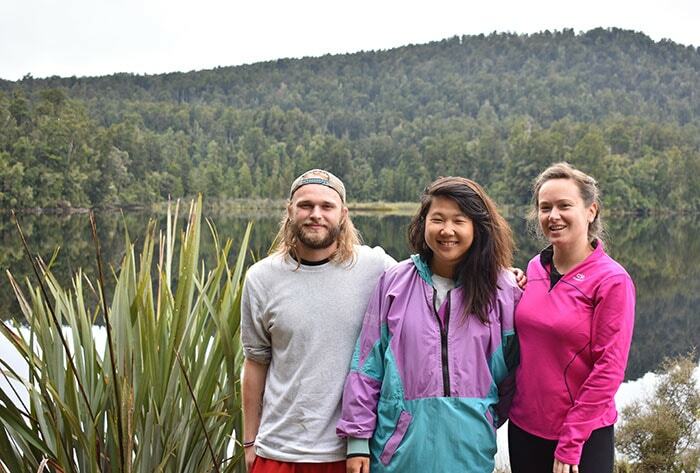 Enjoy a fun boat ride across Lake Mapourika and SUP on the far side into the Okarito Kiwi Sanctuary. 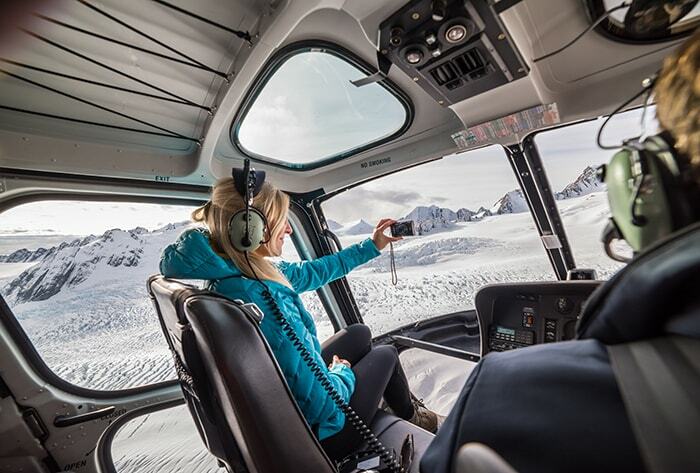 The Paddle and Soak + Heli Hike Combo is an amazing full day experience in Glacier Country! 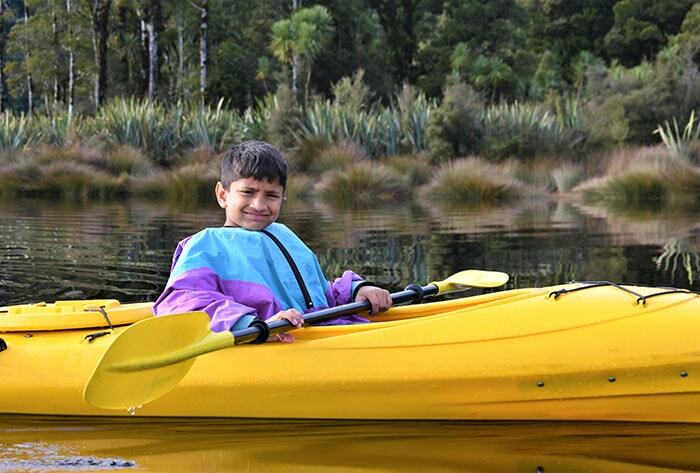 Join us for a 9 am kayak tour – this is a great time of day for Kayaking! 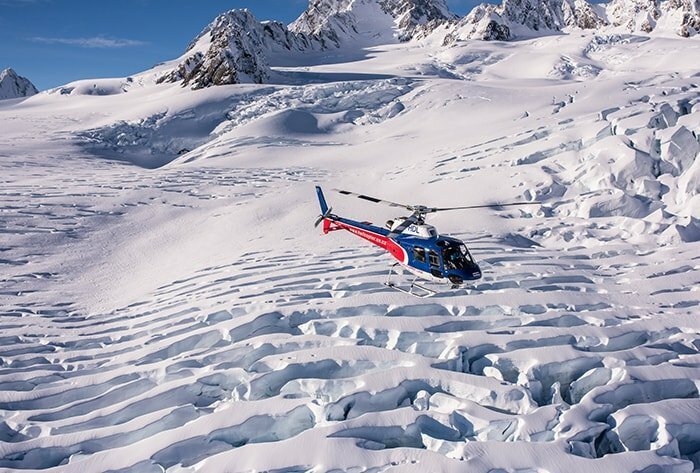 You’ll be dropped back into town by 12:15 pm –and can check in with the Helicopter Line for their last tour of the day at 2 pm and returns to town by 5:30 pm. 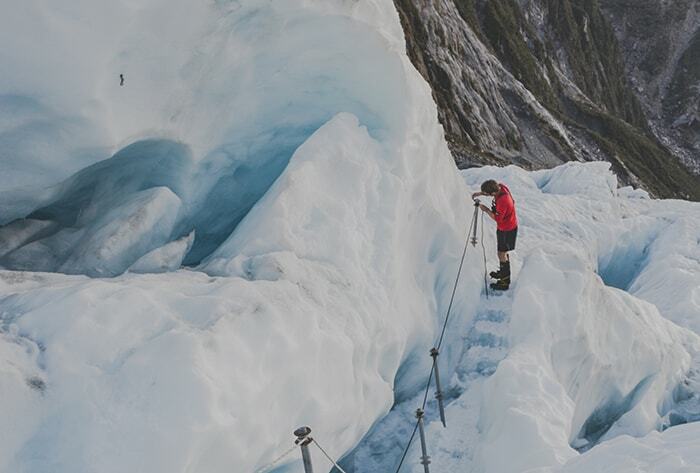 After your activities are complete – you can rest your body with a relaxing soak in the Glacier Hot Pools. 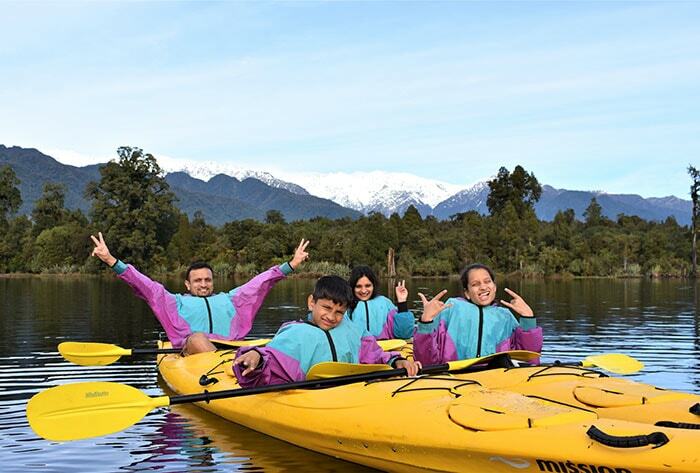 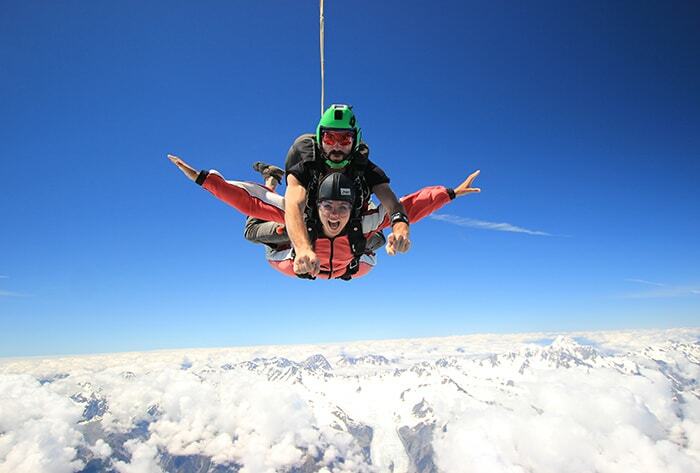 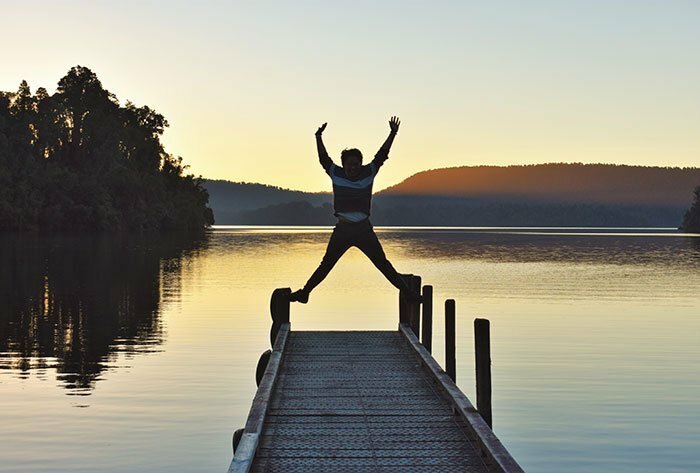 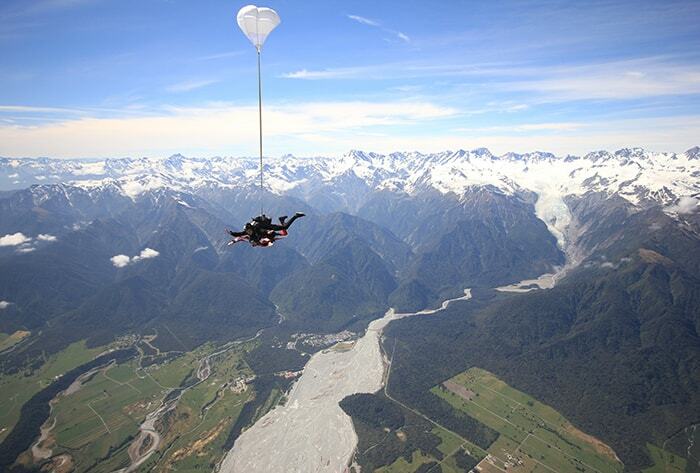 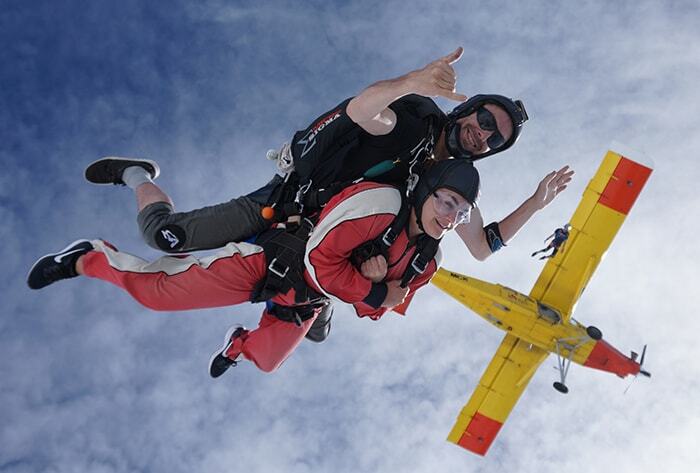 Kick-start your day with an adrenaline rush followed by a scenic afternoon/evening paddle OR start your morning with some relaxation on the lake with Glacier Kayaks and finish with an exhilarating jump with Skydive Franz. 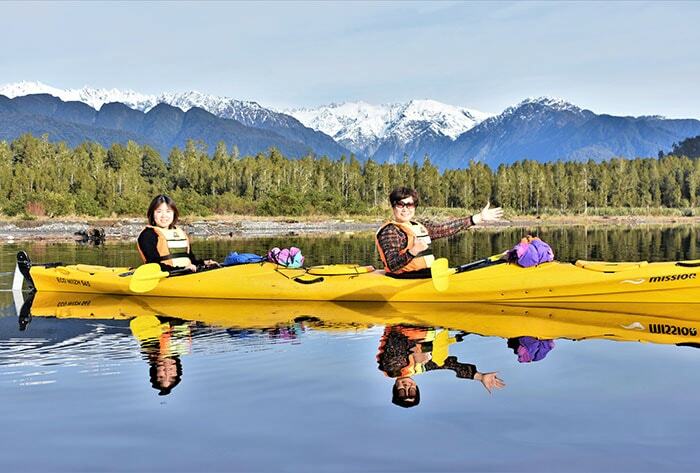 The Paddle and Soak + Scenic Combo is an amazing full day experience in Glacier Country! 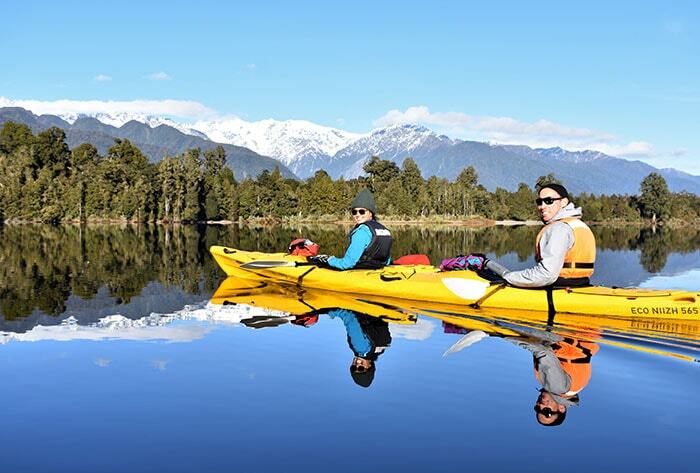 Join us for a 9 am kayak tour – this is a great time of day for Kayaking! 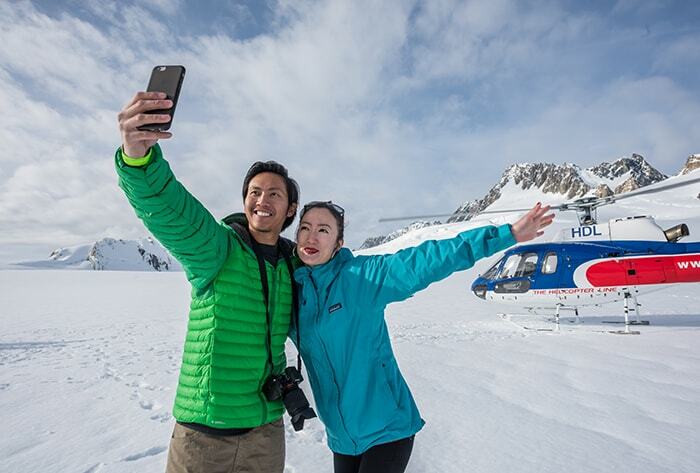 You’ll be dropped back into town by 12:15 pm –and can check in with the Helicopter Line for your Scenic Flight.